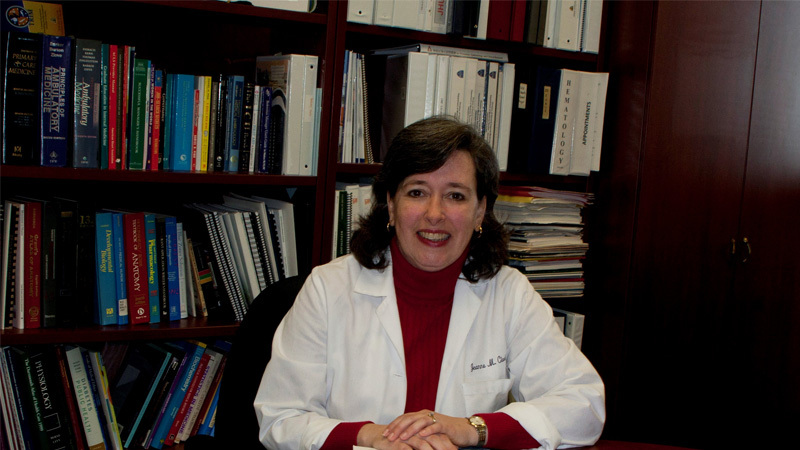 Jeanne Clark, M.D., M.P.H., professor of medicine and director of the Division of General Internal Medicine at Johns Hopkins, has been awarded the inaugural Elizabeth and Emily Blackwell Award for Outstanding Contributions to Advancing the Careers of Women in Medicine by the American College of Physicians (ACP), a national organization of internal medicine physicians. The award will be presented at ACP’s annual convocation ceremony on April 11, 2019, at the Pennsylvania Convention Center in Philadelphia, where ACP will host its annual scientific conference. The award recognizes an individual who has furthered the careers of women medical students, residents and/or physicians through mentoring and leadership development. The award’s name honors Elizabeth and Emily Blackwell, pioneers in medicine who paved the way, and fostered a sisterhood, for women interested in pursuing professional medical careers. As director of the Division of General Internal Medicine, Clark leads the development and promotion of more than 90 full-time faculty members. Since becoming director in 2014, she has helped promote 23 faculty members (14 women), including six to professor (five women). Clark has mentored 27 people and helped recruit seven women to the faculty. Two of her mentees were promoted to associate professor. She also has served as a national role model for women in leadership. Clark has consistently pursued leadership positions that involve mentoring and career development so that she could fulfill her desire to help others and, in particular, advance women’s careers. She has also been a senior adviser to the Johns Hopkins Office of Women in Science and Medicine, advocating for more transparency in salary and leadership selection across the medical school. As Director of the Division of General Internal Medicine, Dr. Clark has overseen the development of two innovative programs to address diabetes. The act2 program focuses on preventing or delaying the onset of type 2 diabetes. Learn more about act2 here. The DECIDE program helps diabetic patients change everyday behaviors to better manage their type 2 diabetes. Learn more about DECIDE here.